Lollies – Money 5 to 85 pence in multiples of 5’s. Ten brightly coloured mouth watering ice lollies to catch everybody’s eye and mathematical imagination. 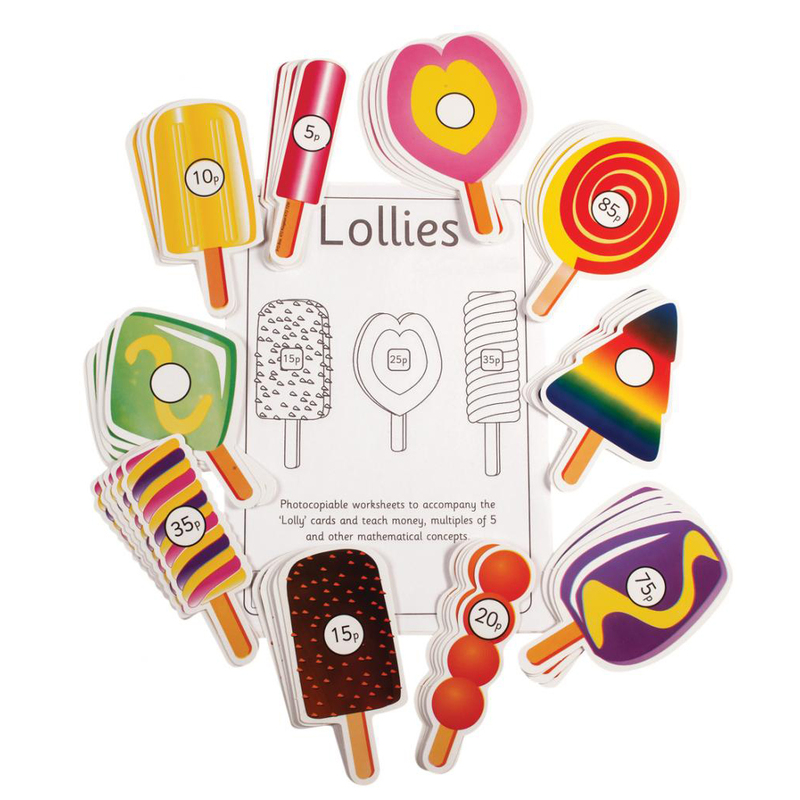 Each double-sided laminated lolly has a multiple of 5p on one side (5p, 10p, 15p, 20p, 25p, 30p, 50p, 65p, 75p, 85p) and a blank circle on the reverse side for writing in your own price. 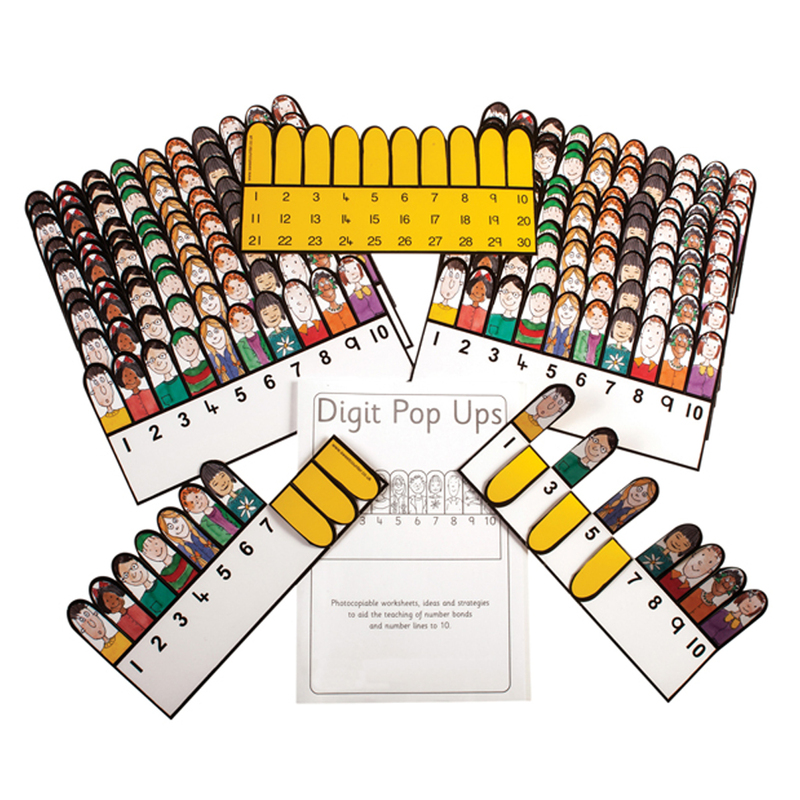 Easy to manipulate, children are able to use and become familiar with larger numbers. How will you pay for your lolly? How much change from £1.00 and £2.00? 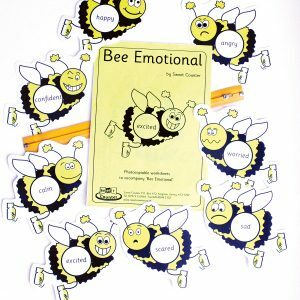 Use for numerous concepts such as addition, subtraction, multiplication, money and particularly problem solving. 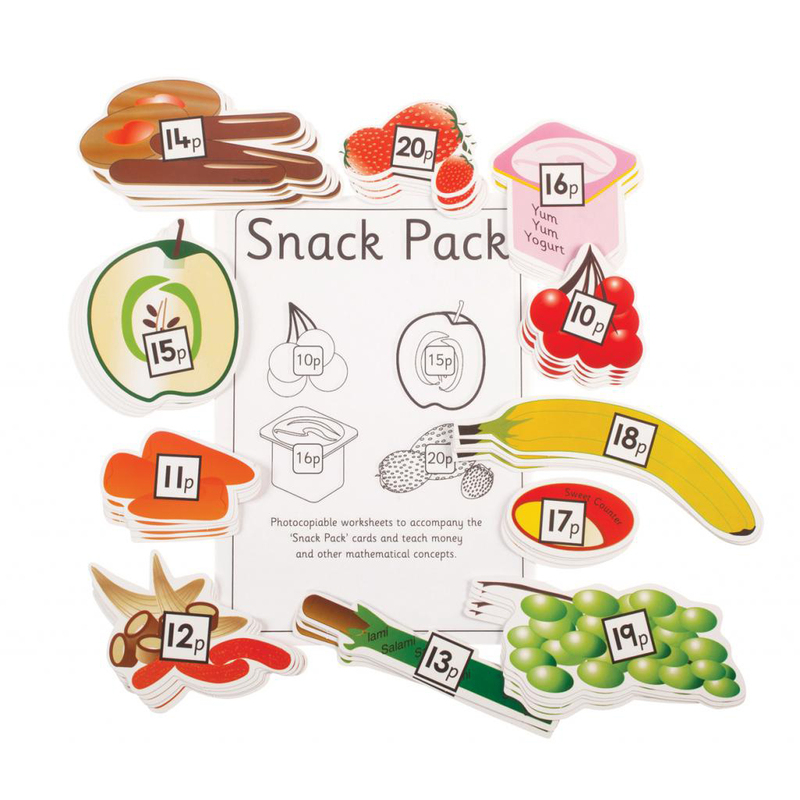 Set includes 50 lollies and a photocopiable booklet. A resealable folder completes the set.